Maruti Suzuki Discount Offers in March 2018: Grab it! Home / Car News / Maruti Suzuki Discount Offers in March 2018: Grab it! The financial year is nearing the end within few days. On the occasion, the India’s largest car manufacturer, Maruti Suzuki along with its dealership has come up with its attractive year end discount offers on various models. The Maruti Suzuki discount offers are in the form of cash discounts and exchange bonus. The maximum discount is available on its popular cars from Alto K10 to Maruti Ertiga to the tune of up to Rs. 1.10 lakh. The company in its recent announcement has stated that the sale of its popular car Alto has crossed a figure of 35 lakh since it was launched in India. The Maruti Suzuki Discount on the entry level Alto 800 is up to Rs. 60,000 whereas the discount on the Alto K10 is upto Rs. 70,000 (including cash discount and exchange bonus). The Alto K10 car comes with the AMT transmission. The other product from Maruti, the Wagon R carries a huge discount up to Rs. 1.10 lakh which includes cash discount of Rs. 55,000 and exchange bonus of equal amount. Similarly, the Maruti Celerio carries a total discount of Rs. 90,000 in the form of Rs. 45,000 as cash discount and Rs. 45,000 as exchange bonus. The Maruti Suzuki discount offer on Ciaz comes with a discount up to Rs. 85,000. The company has also plans to introduce an updated version of the Ciaz by this year end. The Maruti Ignis gets a discount of Rs. 80,000 which includes Rs. 50,000 as cash discount and Rs. 30,000 as exchange bonus. The Maruti Dzire, the highest selling sub-compact sedan gets benefit up to Rs. 25,000 in the form of cash discount of Rs. 10,000 and exchange bonus of Rs. 15,000. 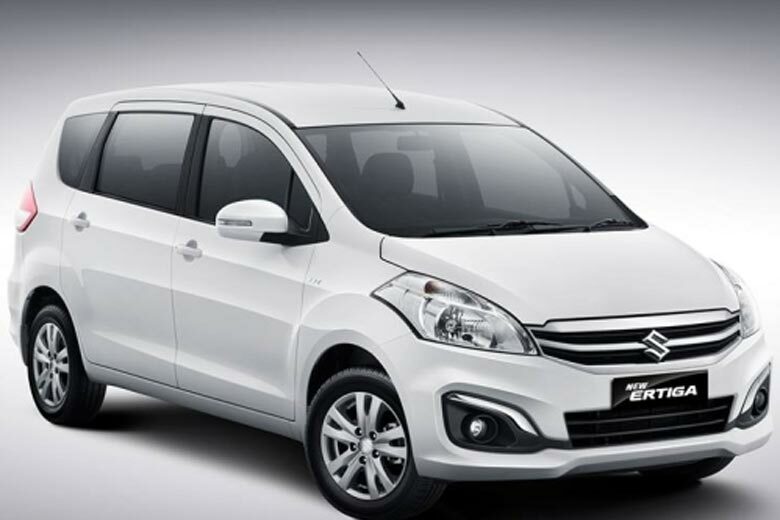 The company’s MPV Maruti Ertiga carries a total discount up to Rs. 50,000. This model is expected to be discontinued from the production as the company is expected to launch an updated version during the year. See the table below for the breakup of the Maruti Suzuki discount offers on various models. You must have noticed from the table above that the Maruti’s few models such as Brezza, Baleno, S-Cross and the newly launched Swift 2018 do not carry any discount offers. The all-new next generation Maruti Swift was launched by the company at the 2018 Auto Expo held last month. The 2018 Swift comes with the same engine options as the earlier, i.e. 1.2 litre petrol and 1.3 litre diesel engine but carries host of changes in design, chassis and interior updates. The Indian auto maker has been performing exceptionally well on the sales figures months after months. In February 2018, it registered an increase of 15 percent in sales in the domestic market compared to the same period last year. It sold around 5000 cars per day in February totally to 149,824 cars in the month. A significant contribution has been made by the 2018 Swift in the sales. So what do you think of the Maruti Suzuki discount offers? Are they not attractive? In our views, this is the time to avail the discounts if you have plans to buy a new car or exchange the old car with a new one. Hurry up to your nearest dealership.